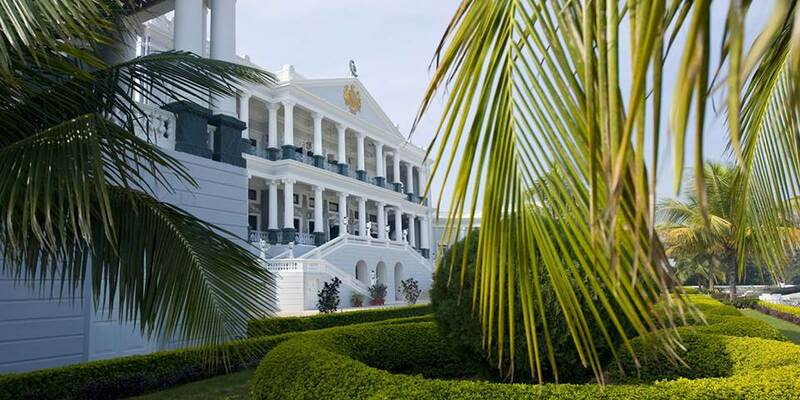 Located on a hill 2000 feet above the legendary city of Hyderabad, Taj Falaknuma Palace is spread over 32 acres of land and commands a view of the entire city. 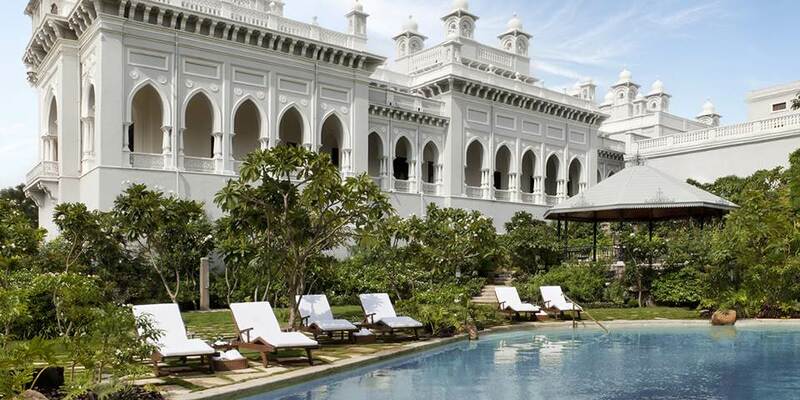 This most magnificent of palaces was built in 1894 as the royal residence of Nizam Mehboob Ali Khan, who governed Hyderabad. Guests who stay here can now experience a glimpse of the Imperial lifestyle once enjoyed solely by him and the royalty that once visited. Revel in the sheer opulence with Venetian chandeliers, grand marble staircases, priceless statues and rare furniture that India has to offer. As would be expected there are many culinary delights on offer, at Celeste fine ingredients from around the world form the essence of the menu in this all day dining restaurant, where Italian and Mediterranean fare is speckled with flavours from South East Asia. In Adaa, the Indian fine dining restaurant, chefs recreate traditional Hyderabadi and Deccan fare which is authentic and worthy of a royal kitchen. An experience not to be missed is high tea at The Jade Room, one of the most magnificent venues in the palace, with Victorian style hand painted ceilings and Belgian cut glass chandeliers. Choose from Traditional High tea with sumptuous sandwiches, scones with clotted cream and delicate patisseries or a unique Nizam High tea with local favourites served in a contemporary way. There is so much more to experience, with billiard rooms, smoking rooms, croquet lawns, private gardens and royal garages filled with a fleet of vintage cars. Do not miss the dining room with the world’s largest table made to seat 101 guests or the Palace Library, a replica of the one at Windsor Palace with a collection of rare books and manuscripts that would take years to read. Take the Champagne Palace Walk which starts at sunset and listen to the Palace Historian recounting myths and legends about a dynasty mired in romance and mystery. Become one with mind, body and soul as the Royal Jiva Spa transports you to a time when relaxation was both a finely-honed art and a practised science and where the philosophy is all about holistic rejuvenation. 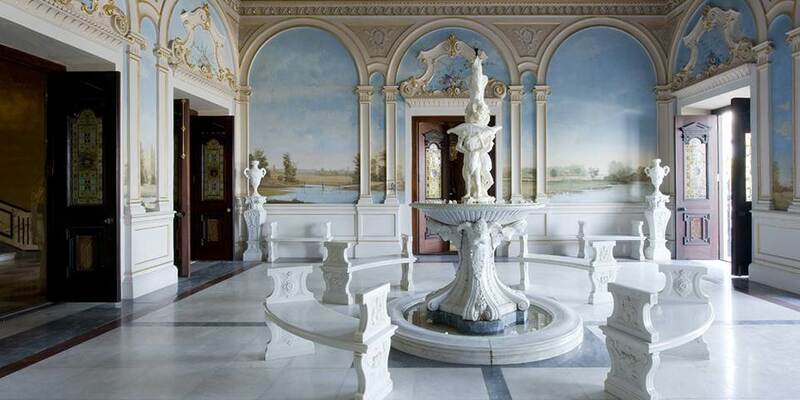 Falaknuma is not just a Palace; it is a space dedicated to the art of perfecting pleasure. 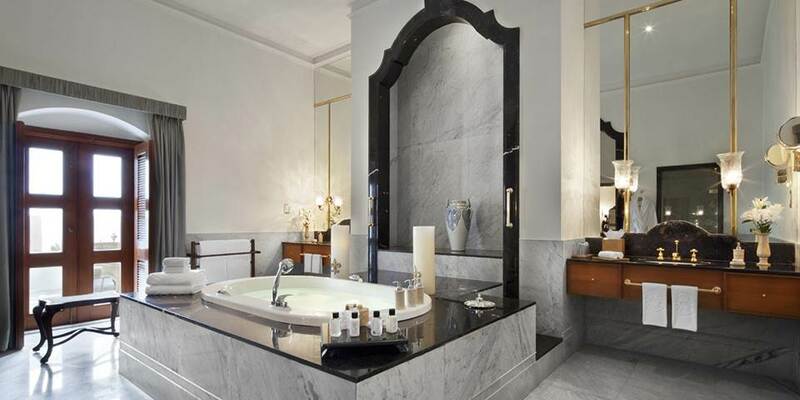 The palace offers a choice of 60 unique rooms and suites, ranging from Luxury and Palace rooms through Historical, Royal and Grand Royal suites to the ultimate in luxury; The Grand Presidential Suite. 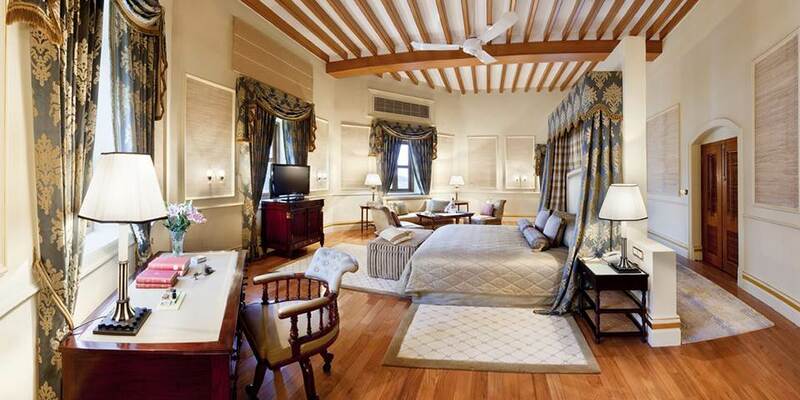 The Luxury rooms are spacious and well-appointed while the Palace Rooms face the courtyard and have hand painted walls, rich fabrics and gleaming oak floors. The 3 Historical Suites have a warm ambience with wooden floors and are furnished with antiques and exquisite Edwardian artwork and fabrics. Each of the 8 Royal Suites has been restored to keep the original feel of a bygone age with beautiful architecture and opulent décor, some with delicate mirror work. The 3 Grand Royal Suites have spectacular panoramic views which compete for attention with the lavish artistry of the interiors, with carpets custom made in Turkey to complement the existing upholstery. The Grand Presidential Suite is where intricately detailed restoration work mixes with state of the art facilities and experiences. Furnishings are custom designed, bathrooms have Cararra marble floors and the private swimming pool and Jacuzzi combine to make this a self-contained oasis of luxury.